Avelene had a second Pi Pony this year (3/14). She is our first foal by young Morrowseer out of a powerful Californian bred distance race mare with 35 starts (20 finishes in top 3 positions) before retiring sound! This kind of longevity in soundness is what we offer our clients in genetics. Not every popular Tb line contributes in this manner in the breeding shed. 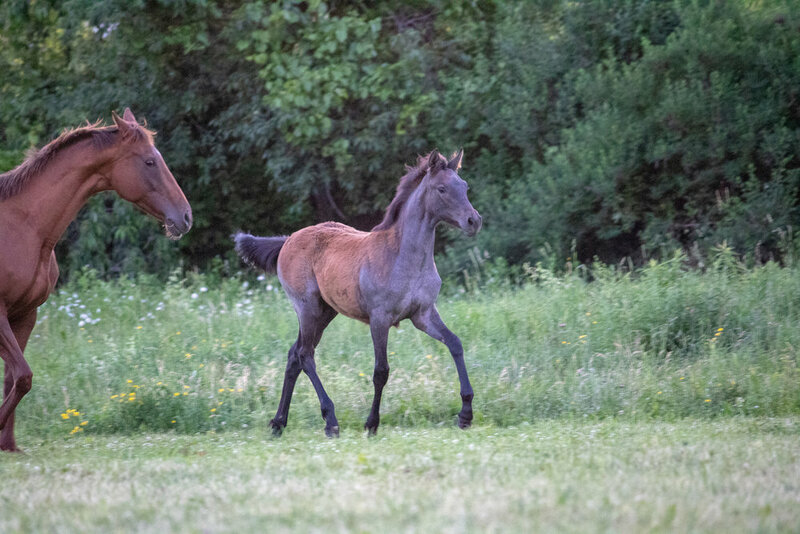 Morrow has stamped this exceptionally bred filly as well with his unwavering willingness and unflappability evident in the video clips below ( first two videos are Anni's first halfbred foal by another Connemara stallion and Fara by Morrow is the final video). 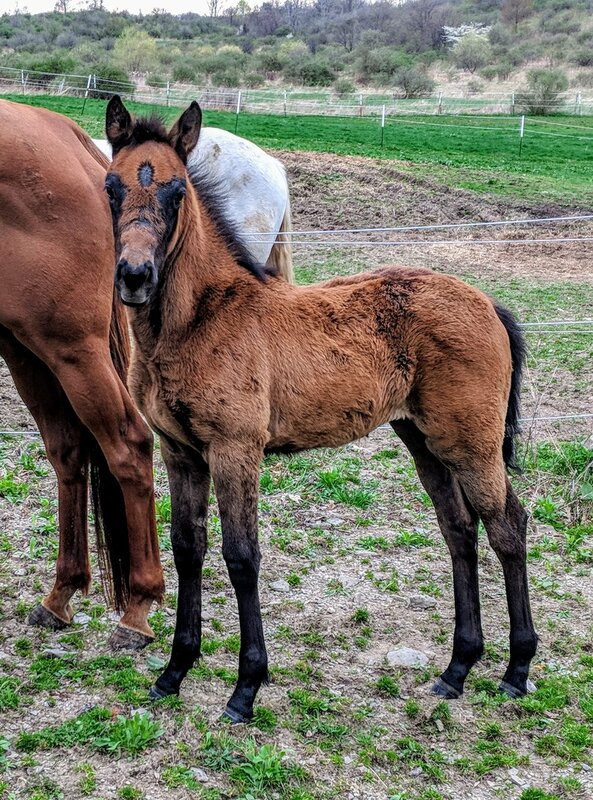 We are thrilled to offer the first halfbred filly from Oxenholm Gideon, Oxenholm Matador, and Bunowen Castle Ri combined lines on this continent. She exudes every unique connemara trait from these powerful pony lines; athleticism, scope, conformation, and doglike disposition in an oversize package. Currently being raised by her dam and her Grand dam Roscrea and handled daily...6K upon weaning. Fara is Registered with the ACPS and has a Lifetime USEF number. Video of Fara further below.